St. Ann’s Warehouse is dressing up all next week with two of the cabaret world’s greatest icons — The Tiger Lillies and Justin Vivian Bond. It’s our pleasure to welcome this rare combination of a longtime favorite band and admired newcomer to our stage, both of whom are at the top of their game. 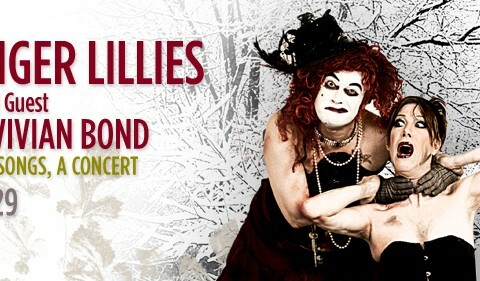 For fans of the Lillies and Justin, they’re not only coming with their outlandish and popular greatest hits – but with a special collaboration – an exclusive concert performance of Sinderella Songs.